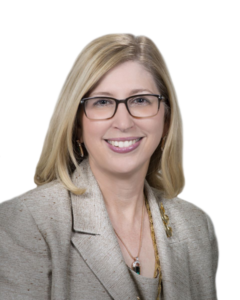 Dr. Teresa Woodruff is the Thomas J. Watkins Memorial Professor of Obstetrics and Gynecology, Vice Chair of Research in Obstetrics and Gynecology, and Chief of the Division of Reproductive Science in Medicine at the Northwestern University Feinberg School of Medicine. She is also Professor of Molecular Biosciences and Biomedical Engineering at Northwestern University. In addition, Teresa is Director of the Center for Reproductive Science, Founder and Director of the Women’s Health Research Institute, and Director of the Oncofertility Consortium. She completed her undergraduate studies at Olivet Nazarene University and received her PhD in Biochemistry From Northwestern University and completed a postdoctoral fellowship at Genentech, Inc. Teresa has received many awards and honors in her career. She has been awarded the Society for Endocrinology Transatlantic Medal, the Journal of Women’s Health Award for Outstanding Achievement in Women’s Health Research, a Guggenheim Fellowship, the American Women in Science Innovator Award, the American Medical Women Association Gender Equity Award, the “Speaking of Women’s Health” Distinguished Service Award, the Endocrine Society Outstanding Leadership in Endocrinology Award, the Endocrine Society’s Richard E. Weitzman Memorial Award, the Women in Science Award from the Weitzman Institute, the Beacon Award from Frontiers in Reproduction, the U.S. Presidential Award for Excellence in Science Mentoring, and in 2013, she was named in Time Magazine’s “Most Influential Persons” list. In addition, Teresa has received the Distinguished Teaching, Faculty Mentor of the Year, Distinguished Woman in Medicine and Science, Alumni Association Merit, and Distinguished Alumnae Awards from Northwestern University. She is an elected member of The Economic Club of Chicago and an elected Fellow of the American Association for the Advancement of Science. Teresa was also recently elected to the College of Fellows at the American Institute for Medical and Biological Engineering. Teresa is with us today to tell us about her life and science. Her passions outside the lab include cooking and Chicago Cubs baseball. Teresa is also a former cellist, and she loves listening to the Chicago Symphony Orchestra. She started playing the cello when she was seven years old, and the last time she ever played was about fifteen years ago. Yo-Yo Ma was visiting Northwestern, and his niece worked in Teresa’s lab, so Teresa had the opportunity to meet him. She even had the chance to play Yo-Yo Ma’s Stradivarius Cello, and after that amazing experience, she never played the cello again. Research in Teresa’s lab focuses on understanding how the ovary and the female reproductive cycle work. The ovary contains all of the eggs that women will have for their entire reproductive lifespan. Teresa is interested in understanding how follicles are selected to be part of a particular reproductive cycle throughout a woman’s reproductive life. Curiosity is key for science. People are driven to ask questions, and Teresa has been able to make that her life’s work. Teresa was fascinated with science from an early age. She remembers dissecting earthworms in kindergarten to figure out how their bodies worked. In college, she became interested in how people derived the answers in the back of her textbooks. This introduced her to research. She went to California Institute of Technology for a summer experience, and became hooked on the scientific process that lead to those answers in the back of the book. When Teresa arrived at Northwestern University as a graduate student, she was originally interested in studying RNA, and she hadn’t really considered reproductive science. While studying gene regulation, she chose to work on the ovary and became completely engrossed with ovarian function. About a month ago, Teresa’s lab published a paper about a menstrual cycle in a dish. This is a 30-day cycle using microfluidics system that provides an engineered way to study the reproductive system. They are able to connect an ovary from a mouse to human fallopian tube, human uterus, human cervix, and a liver for metabolism in a circuit similar to what is in our own bodies. The organs connected via microfluidics with blood vessels taking nutrients to organs and other blood vessels taking wastes away from organs. With this system, the conditions are much more similar to what occurs in our bodies, than previous methods using petri dishes where cells are bathed in their own wastes. Their recent paper represents the culmination of about five years of work. It was a really challenging project because they worked with a team of engineers and scientists and had to go through many iterations as they were creating the prototype. There were many points where members of the team thought it wasn’t going to work, but they all persevered and saw the project through. Their 3D printed ovary and microfluidics menstrual cycle in a dish were great accomplishments, but one of the things Teresa is most proud of is that about ten years after coining the term “oncofertility”, a field of medicine has developed that didn’t exist before. Young women who would have previously become sterilized unknowingly by their cancer treatments are now being presented with fertility options. They now have a chance to preserve their fertility that was not available before. Seeing this field unfold has made Teresa feel proud, but it has also been a humbling experience. It has been moving to hold the babies of young female cancer survivors and to witness them going from cancer diagnosis, back to health, and then to achieving the richness in life they had hoped for before their diagnosis, including having a family. Teresa traveled to Peking University in China in 1991 to teach reproductive science and research techniques. While she was there, Teresa also had time to explore the surrounding area, including (sometimes harrowing) bicycle rides around the city of Beijing and visiting the Great Wall with her students. One of the most notable quirks in Teresa’s lab is a life-sized velvet Elvis that one of her students brought in from her hometown in Alabama. It has become a tradition for them to touch a part of each of their grants to the belt of velvet Elvis for good luck before submission. When a student graduates, Teresa also hangs a framed photo of each student with their first published paper. That way, current students are able to look up and see all of the others who came before them and can match faces to the names they see on previous papers from the lab. People graduating from the lab all receive a photo of the lab group and a Northwestern University baseball cap with signatures from all the lab members on the underside of the bill. That way, no matter where they go, they always have their lab family with them. In science, the wings of success are resilience, vision, and confidence. You have to be able to envision what you want, have the confidence to go out and make it happen, and the resilience to persist in the face of challenges on your path to success. Ego, paranoia, and worry are the three major detriments to a career that will keep you from thriving. For many people, the biggest challenge is getting started. Sometimes we think and plan for too long. You have to get up and do something. It is the only way to make discoveries. Just start. Teresa is an internationally recognized expert in ovarian biology and, in 2006, coined the term “oncofertility” to describe the merging of two fields: oncology and fertility. She now heads the Oncofertility Consortium, an interdisciplinary team of biomedical and social scientist experts from across the country. She has been active in education not only at the professional level but also with high school students. To this end, Teresa founded and directs the Oncofertility Saturday Academy (OSA), one of several high school outreach programs that engages girls in basic and medical sciences. She was awarded the Presidential Award for Excellence in Science Mentoring in an oval office ceremony from President Obama (2011). Widely recognized for her work, Woodruff holds 10 U.S. Patents, and in 2013 she was named to Time magazine’s ‘Most Influential Persons’ list. Some of her recent awards and honors include a Guggenheim Fellowship (2017), the Society for Endocrinology Transatlantic Medal (2017), a Leadership Award from the Endocrine Society (2017). Teresa also has two honorary degrees including one from the University of Birmingham, College of Medical, UK (2016). She is civically active and is an elected member of The Economic Club of Chicago and an elected Fellow of the American Association for the Advancement of Science. Woodruff served on the school board of the Chicago-based Young Women’s Leadership Charter School, served as president of the Endocrine Society and championed the new NIH policy that mandates the use of females in fundamental research.